Drinking vinegar may not sound like something you’d use to create a tasty beverage, but it is destined to become one of your new favorites. You have probably seen many articles about the benefits of apple cider vinegar, as it has been marketed as a cure-all for quite some time now. Just go to Pinterest or Google it- you will be bombarded with articles touting its many magical powers. While it is great that it can help control dandruff, dry skin, cholesterol, asthma, and more, what really matters to me is its impact on gut health. Drinking vinegar is fermented, and therefore contains probiotics. Probiotics are the good bacteria that benefit our gastrointestinal tract, and our gut health determines our overall well-being. Supplementing with probiotics (from fermented foods like drinking vinegar) has been shown to boost immune system function, and can even prevent infection. For those with autoimmunity, boosting immune function, and preventing infection are crucial, especially for those of us taking medications that lower our immune function and make us more susceptible to infection while inhibiting our ability to fight them. This post contains affiliate links. Click here to read about what that means. CLICK HERE FOR MORE TIPS, INSPIRATION, AND IMMEDIATE ACCESS TO MY FREE RESOURCE LIBRARY! I first heard of drinking vinegar when I read about it in a magazine article. What really got my attention was that drinking vinegar has the same healing benefits of Kombucha, which is fermented tea, but without the kombucha taste. Maybe I just haven’t had good kombucha, but I just cannot get on the Kombucha train. I have considered making it, but am a little intimidated (okay, darn right scared) of the “mother” part of it, which is the blob of bacteria and yeast that grow on top while it ferments. I buy Bragg apple cider vinegar which proudly advertises that it has “the mother” (the floating bits of yeast that make it cloudy), so I am good with that for now. After reading the recipe I realized I had all of the ingredients I needed on hand, which was awesome! 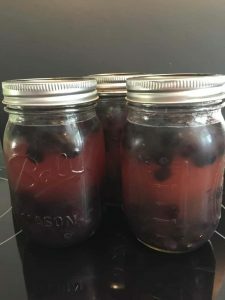 I chose blueberries as my flavor but if you want to try this version you will need a one-quart canning jar, preferably with a plastic lid, because metal does not play well with acid. I learned this the hard way. I used the mason jars I had on hand, and now I have rusty lids. The process involves combining fruit and vinegar in the jar for 7 days at room temperature, straining the fruit out and returning the vinegar to the jar and adding honey, then refrigerating for another 7 days. 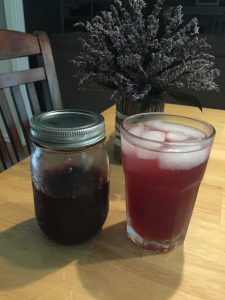 when I opened the finished product after 14 days, I was worried, because it just smelled like apple cider vinegar, even though it looked nice and dark with a deep blueberry color. But when I poured my new drinking vinegar into my cup and topped it with my favorite raspberry lime seltzer, I was delighted. It is super refreshing and tangy- not at all earthy, like the kombucha I’ve tried. I was so excited but . . .
two weeks was a long time to wait. I knew there had to be a faster way and there is. Are you dying to try a drinking vinegar mocktail now? Thankfully you won’t have to wait two weeks to try gut-healing drinking vinegar! There are quick versions of drinking vinegar, which are also referred to as Shrubs. Buy a drinking vinegar either at your local natural foods store or here (The flavor varieties are truly inspiring. Peach Habanero, anyone?) remember, these are considered mixers, so you only use one ounce at a time. Ready? I bet you have everything you need in your pantry right now. Plus, when making your own drinking vinegar, the levels of sugar and other ingredients can be specified to your personal tastes. To make a drinking vinegar mocktail or shrub, First, you need one large glass of (12-16 ounces) sparkling water (I use flavored, unsweetened seltzer) next you add two tablespoons raw apple cider vinegar. Finally, the fun part. The flavor combinations are up to you. 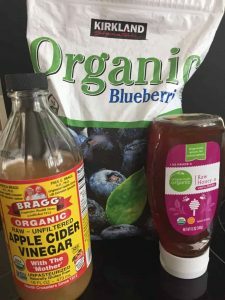 To sweeten the drinking vinegar you can add juices, honey, stevia, maple syrup, cinnamon, cayenne, ginger, or turmeric, which has natural anti-inflammatory ingredients. To keep it paleo, stay away from refined sugar, which is used in traditional recipes. Mix well and enjoy your mocktail! Thank you for writing this post! I tried to get on board with the vinegar thing before, but couldn’t handle the taste, especially in the morning. We always have plenty of fruit on hand and I will definitely give this a try! Fell off the healthy eating wagon for a bit while I had family visiting, and now I am paying the price! Love your blog! Thank you so much for your kind words! I have fallen off the wagon more times than I can count. I hope you will enjoy this recipe as much as I do. 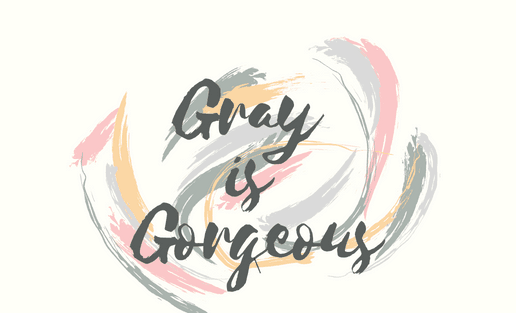 Thank you for helping me keep this blog going. I appreciate your support.